Ranken Mound was recorded by Ettus Hiatt, an amateur archaeologist and Missouri Archaeological Society officer, in 1974. The mound measured 10 to 13 meters in diameter and stood approximately 1 meter high; a linear village site extended north from the mound. A broken effigy pipe) made from flint clay) and a groundstone celt were found on the surface of the site near the mound. Pipe fragment dimensions: Length = 87.1 mm, width = 68.3 mm, thickness = 61.6 mm and weight = 300 grams. 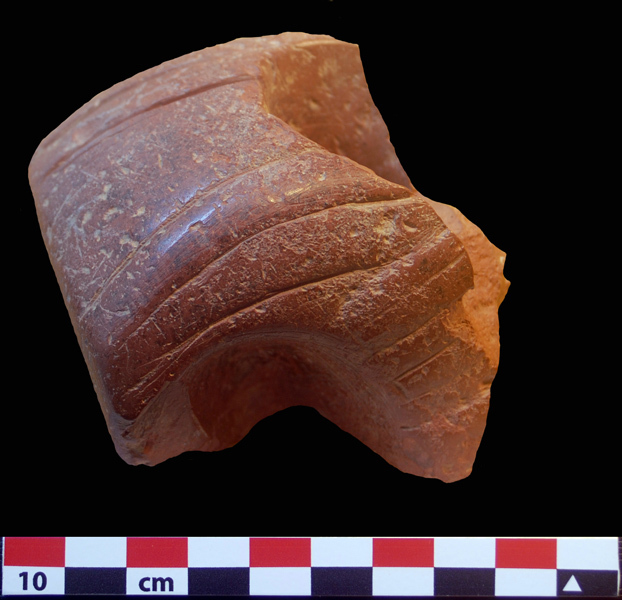 Top view of the pipe showing the bowl of the pipe and design resembling the tail of a bird. The raw material for the pipe is identical to the two pipes associated with a leveled mound at the Davis Site (http://users.stlcc.edu/mfuller/davis.html); there is a strong likelihood that both 23SL66 and 23SL161 are associated with the mining of high quality chert at 23SL115 (http://users.stlcc.edu/mfuller/crescent.html). Sketch and cross-section of the celt found on the surface of the site - not far from the broken flint clay pipe fragment. The celt was manufactured by pecking and grinding. A sketch of the celt is in the University of Missouri Anthropology Museum archives; the sketch suggests that it is approximately measures 120.7 mm long, 60 mm wide at the bit end, and 28 mm thick. 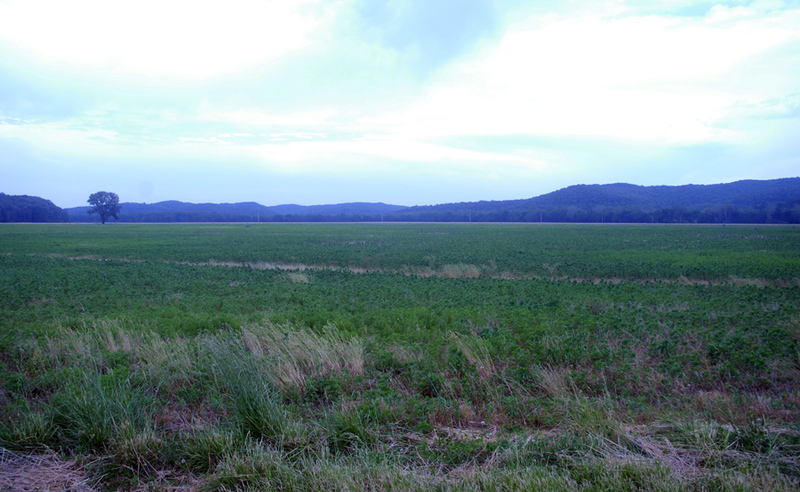 Late Archaic, Woodland and Mississippian artifacts were discovered when the site was cultivated in the 1970s. Now, the site is a pasture and not open to the public. 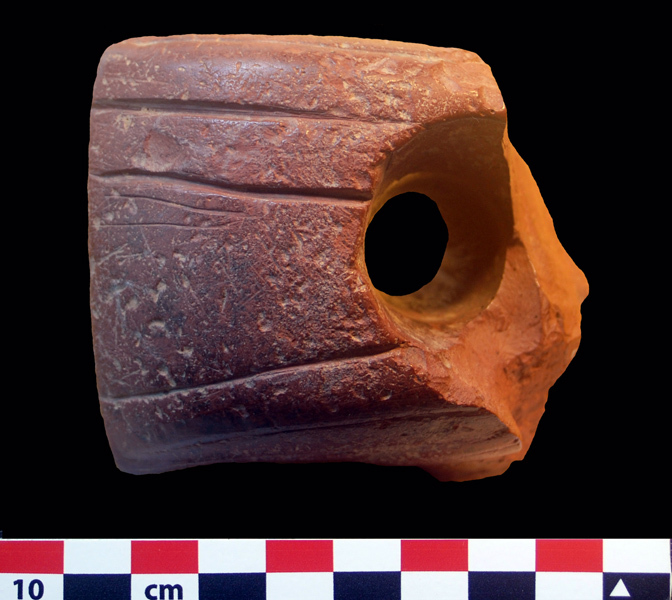 Many thanks for Ettus Hiatt for loaning the pipe fragment to me, so it could be studied at the Illinois State Museum. Special thanks to Kerry Nichols (Missouri DNR) and Jessica Lynn Boldt (Assistant Curator of the Anthropology Museum at University of Missouri - Columbia) for provided background information on 23SL161.